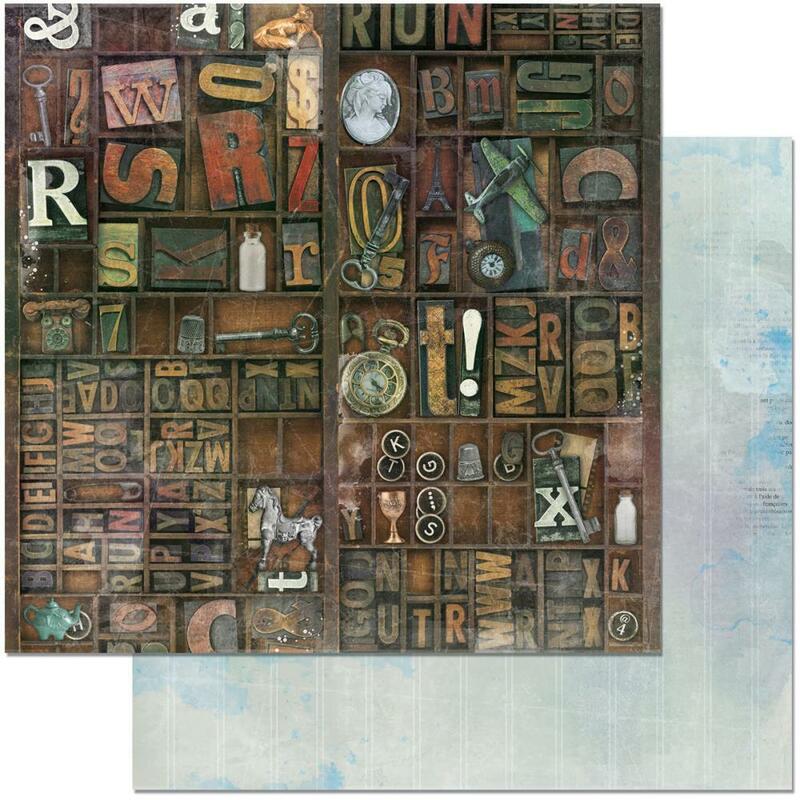 This 12x12 double sided paper has an Image of a old Printers Drawer full of 'Hidden Treasures' memorabilia on the frontside. The reverse side has of abstract Watercolor Background. This is part of the Life in Color Collection by BoBunny Press. Look for coordinating Designer Papers, Noteworthy Die Cuts, 3D Layered Stickers, Journaling Cards and Stickers.